Moisture Balances greatly reduce the time required to perform an LOD Test. 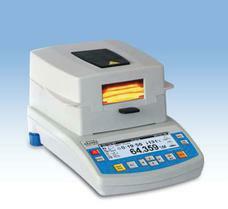 Here, the sample is heated and weighed simultaneously, until the unbound moisture has evaporated. Although the sample size needs to be somewhat small, in order to fit on the 3-4 inch diameter sample pan, only ten grams of sample is required for an accurate test. Because of the small sample size, it is recommended that the sample be ground, and spread as evenly as possible to help facilitate moisture diffusion. The larger the particle size, the more difficult it becomes for moisture to diffuse, and the greater the risk of carbonization, as the outside generally heats quicker than the inside. It has been noted that during grinding, especially with hygroscopic materials, moisture and volatile loss can occur. In most applications the amount of miscellaneous loss through sample grinding can be accounted for, by weighing the sample before and after grinding, and wiping any residue from the grinder with glass fiber pads, then incorporating the glass fiber pads in to the test. Glass fiber pads are also recommended to help prevent surface burn, as well as to eliminate the effects of sample color on heat absorption. 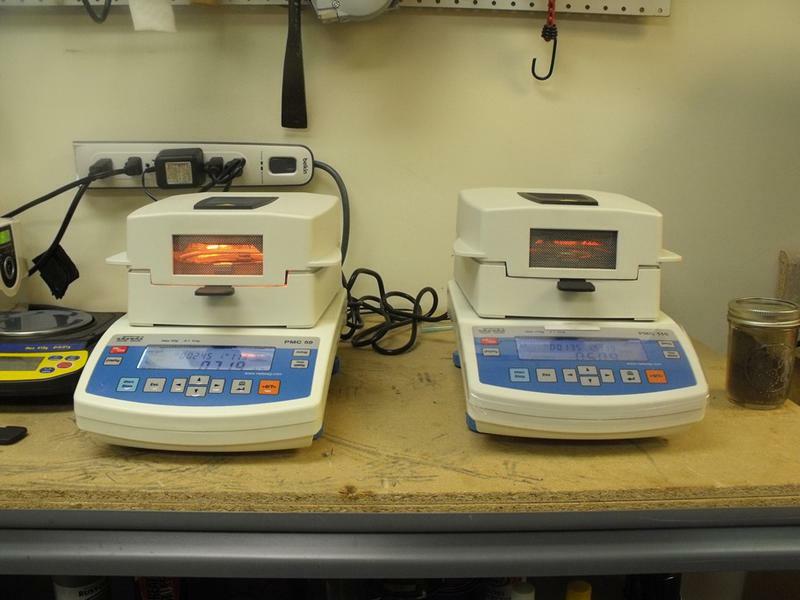 Laboratory Ovens are considered the official method of moisture determination, for many substances, including coffee, sugar, chemicals, sand, and adhesives. They are available with natural convection or with forced air. Many samples may be dried at once, although tests can take up to 24 hours to complete. Organic materials and materials with volatiles, are heated at lower temperatures (BELOW 105 c) , to allow moisture to evaporate. Every material has unique thermal emission and absorption characteristics. Moisture balances, often referred to as Infra-Red, or Thermogravimetric Moisture Analyzers, heat and weigh the sample simultaneously, eliminating accuracy errors resulting from transporting oven samples to a weighing station. 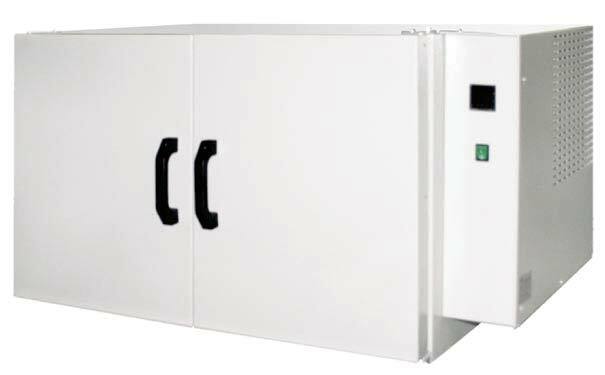 They automatically detect the endpoint, by shutting off when the rate of drying changes beyond pre-programmed parameters. 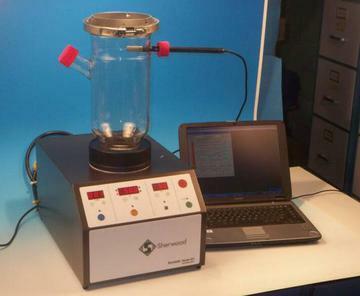 If the automatic setting results in a carbonized sample, or notably different moisture results, revert to the lower temperature protocol, and gradually raise the temperature and decrease the time on the tests, as much as you can, without altering the end result. It often helps to plot the time and percent moisture and visualize the drying curve Above are examples of drying curves showing the characteristics of carbonization, volatile burn off, and temperature resistant samples. Many moisture balances allow for programming the drying process in steps, so that the drying parameters can be optimized for the samples characteristics at different stages.